A content preloader is an interface that let visitors know that the website is processing data and hide the way the layout styles are loaded in the page. The Live Composer doesn't come with such a built-in feature. However, on WordPress repository are plenty of dedicated plugins. The following example uses just one of them: Preloader. 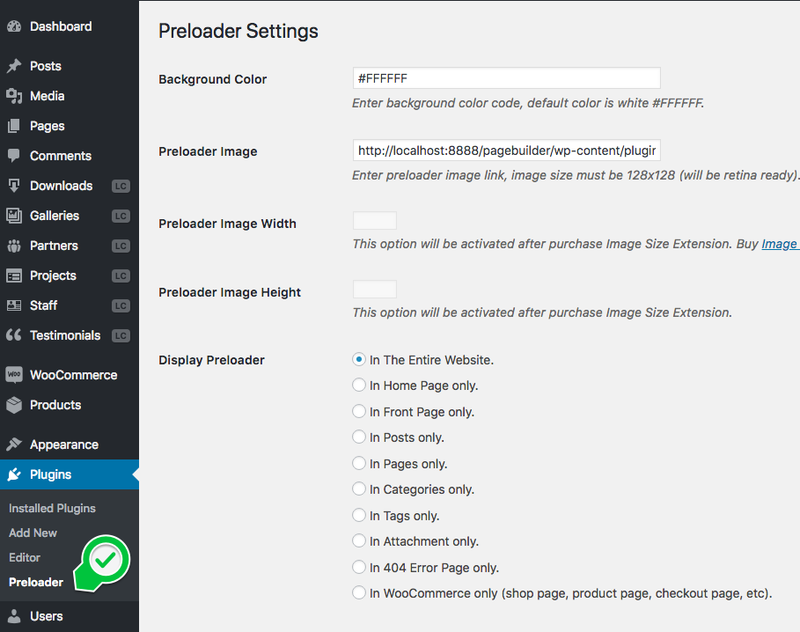 Go to WP Admin > Plugins and install the preloader plugin. 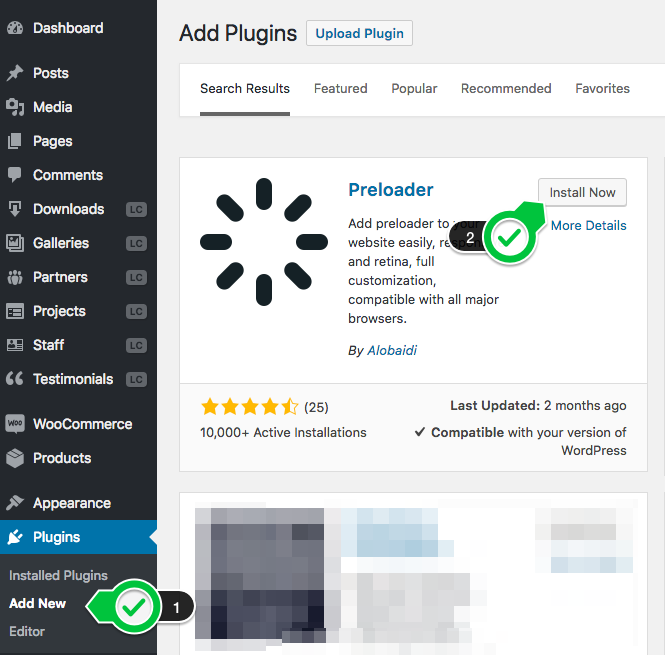 After the plugin installation and activation, check the steps you need to do for a theme integration. Each plugin has in WordPress repository an Installation tab. In this case, go to WP Admin > Plugins and set the preloader plugin. This is an recommendation. We do not support any third-party plugins.